Best Apartment I Ever Sold invites our agents to share the unique story of their best selling experience to date. 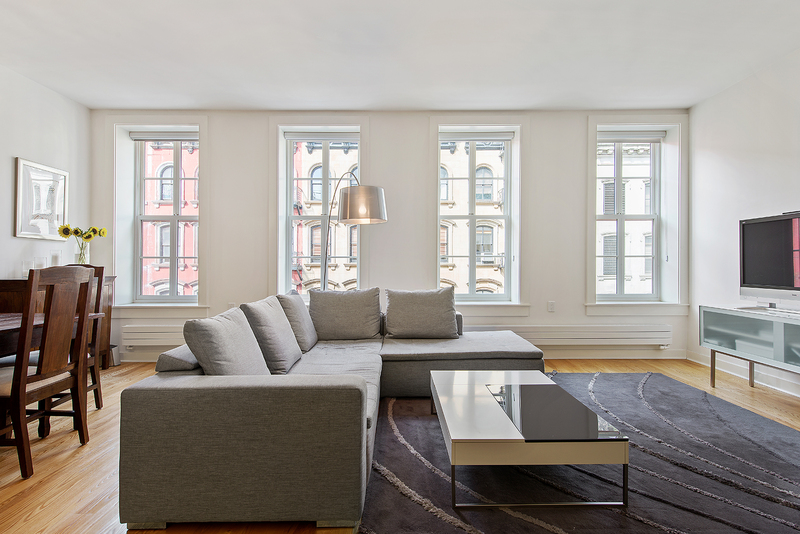 This week, learn why Matthew Cohen‘s sale at 77 Reade Street, 5E is his best one yet. It is quite difficult to pick the “best apartment I ever sold,” as I love each and every one of my listings for different reasons. Every apartment has a story to tell, and I love using the details of each one to figure out how I am going to tell it. If I had to choose, I would say 5E at 77 Reade Street. I always enjoy selling lofts, as their living areas consistently generate a “wow” reaction out of buyers, but there is something indescribable about selling a manicured loft. This is what 77 Reade is all about. Ever since the beginning of my career, I wanted to sell in the building because of the true conversion details. The developer who converted the building to condos wanted to mix the old with the new. Lofts that appeal to buyers who like open space and clean details. Nothing describes my personal and professional taste in real estate more: minimalism with a mix of pre-war and modern. Everything from the exposed brick to the white Canova kitchen to the wall of windows, 5E is a property that will always have a special place in my heart. There is no better feeling than when the property’s story mixes perfectly with the energy of the sellers, therefore creating the perfect aesthetic. 5E made it very easy to come up with a story, the sellers are some of the most wonderful people on earth, which equated to a gorgeous apartment. I sold the loft over the asking price in only two weeks.